Spectacular 35th Floor upgraded ocean and Diamond Head view unique condo with a Non-Conforming Use Certificate permitting short term rentals. Fabulous views of Kapiolani Park and the Gold Coast. This condo is the investment or home you're looking for in a highly desirable Waikiki location. Turnkey ready, featuring ceramic tile flooring throughout, replaced kitchen cabinets and appliances, quality upgraded finishes and a bathroom with a dual entry from bedroom and living room. Great opportunity for daily/weekly vacation rental in the hotel pool, VRBO or Airbnb. Building is pet friendly and the Becker Lease has been paid off. Condo comes with an unassigned parking spot in the Banyan's attached multilevel garage. All utilities are included in monthly HOA fee. 1 Parking Spaces. Street Parking, Unassigned. 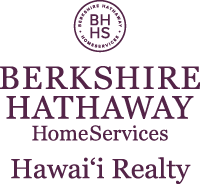 I am interested in 201 Ohua Avenue UNIT 3511-Ma>, Honolulu, HI 96815. Courtesy: Starts International HI, Inc.
Sign up for Inside AccessTM to view recent sales near 201 Ohua Avenue UNIT 3511-Ma>.